I’ve already written up a tutorial on the blog for Link’s original cosplay however a new game was released this week (at the time of writing) which features Link in a new blue outfit. It made sense to write an updated guide for everyone wanting to dress as this character for Halloween this year. The Legend of Zelda: Breath of the Wild is the nineteenth game in the franchise released for the Switch and Wii U. The story follows Link as he awakens from a deep sleep having lost his memory. Despite only being released just last week (at the time of writing) critics have already hailed this instalments as one of the greatest games of all time, with reviewers praising the game’s open ended gameplay which allows for even greater exploration. 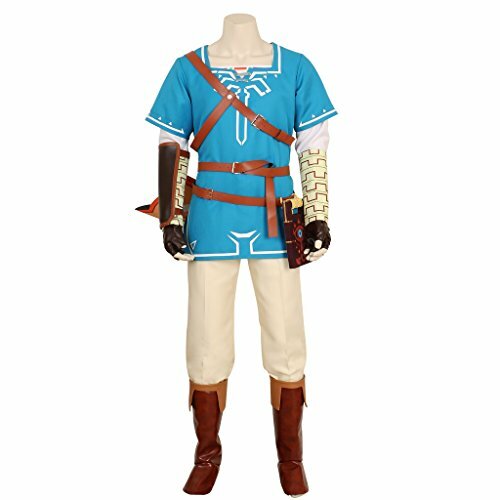 In this post we’ll be showing you everything you’ll need for a Link Breath of the Wild costume. 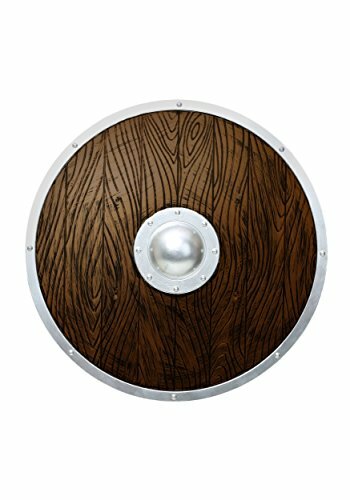 As the game has just been released I will updating this guide often with new costumes and accessories as they are made available. I predict this will be a popular costume for Halloween this year. So without further ado, let’s begin! 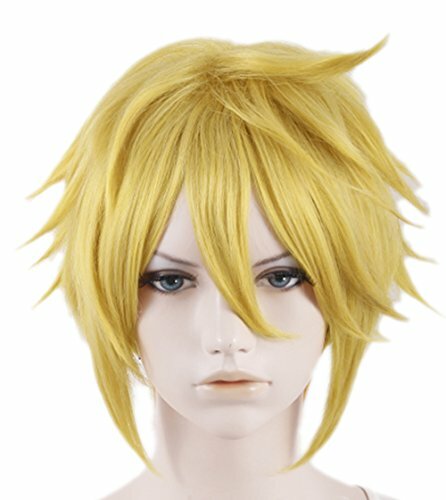 The first item you’ll need is a blond wig as Link has short blond spiky hair. You can look at the one we’ve picked out above or if you prefer check local costume stores. If your natural hair is blond already all you’ll need to do is style it with gel for a spiky finish. You could also dye your hair blond if it’s a different color but you’d prefer not to wear a wig. Another detail is Link’s elf-like ears. Then get a pair of latex goblin style ears to replicate this look. 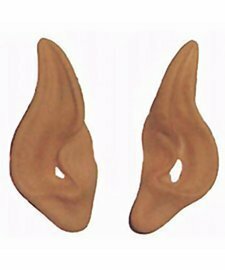 Although I doubt anyone would notice if you didn’t wear these, so it is ok to leave them out. Now let’s move onto Link’s outfit. Unlike the original this one has a blue colorscheme, a fresh and modern take on Link’s green attire. This custom made cosplay comes with everything you’ll need including: the coat, underwear, pants, a pair of gloves, three leather-like bracers, two elf ears. Everything is customized from gender to size so literally any fan could wear this outfit. 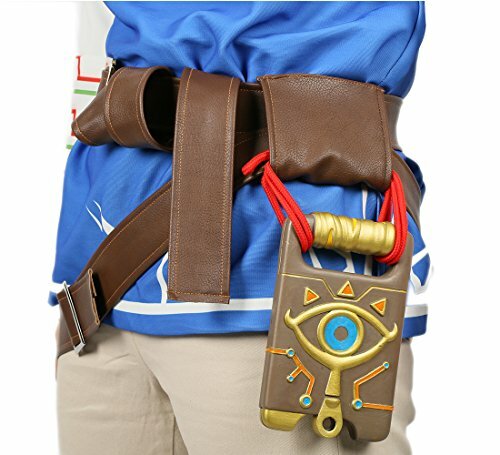 There is also the option to add this belt attachment with sheikah slate included. Again this is an optional accessory that you could go without depending on the level of detail you want. 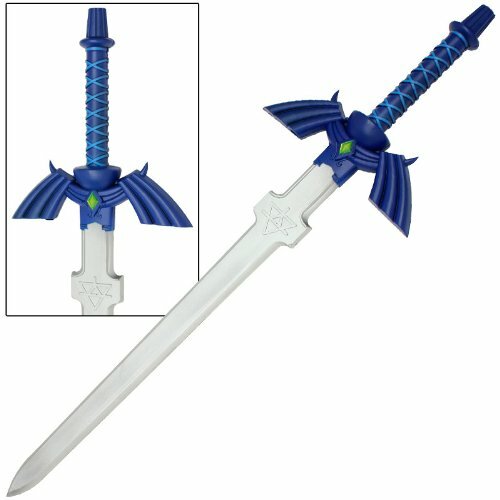 Link couldn’t be without his infamous Master Sword featuring the triad symbol on the blade. This one is made of foam however you can find others made of plastic if you prefer. Along with his sword Link carried a bow & arrow set as well as a shield. These are two essential items in his defence arsenal. In this case you can use toy weapon sets, no need to splash out on the real thing for a simple cosplay. 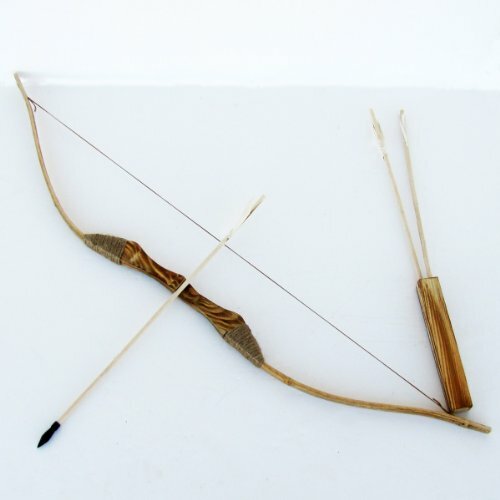 You could probably find these items for a few dollars at the dollar store in the toy section. To finish the outfit off wear a pair of brown boots. 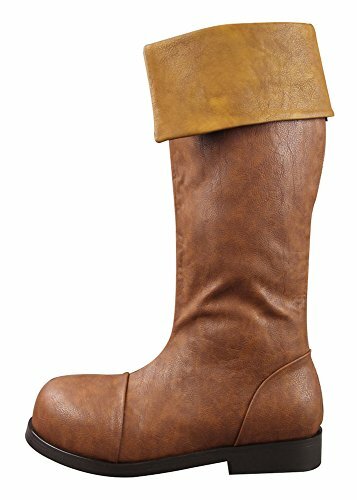 In this case I’ve managed to find an exact replica with dark brown boots and tan tops. If you cannot find an exact match just try to get as close as possible. That is everything you’ll need to transform into this character. As I said above I predict this will be a popular choice for Halloween and cosplay conventions this year so make sure you order well in advance to avoid disappointment. This would make the ideal couple fancy dress choice with you partner dressing as Zelda. Before you go take a look at our other tutorial and to stay updated with the newest posts on the blog follow us on social media.